Union | Dynamic Worship. Radical Welcome. Progressive Witness. 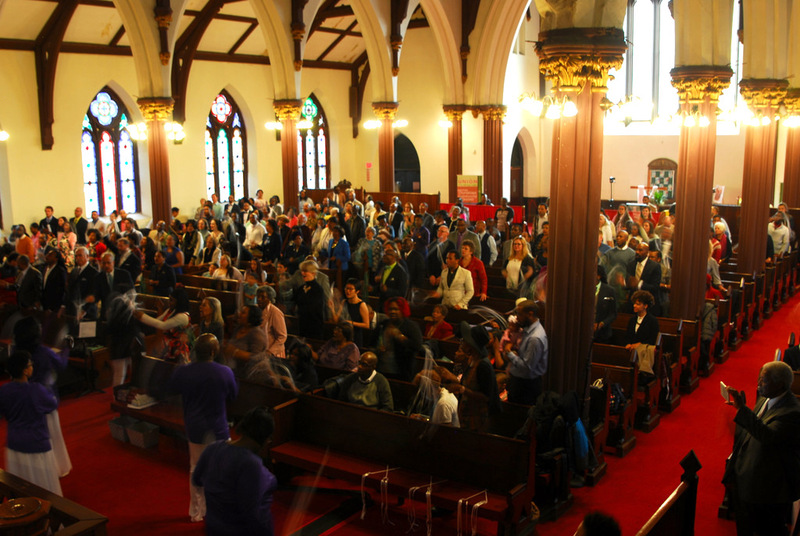 Union is an urban, multicultural faith community committed to extending love and justice to all people. Whether it’s your first time or your hundredth, you’re family. Sometimes less is more. Lasting ~60 minutes, this service offers a simple and intimate worship experience with hymns, prayers, spirituals, and Word. This service is great if you like to get up early, or have a busy schedule but still want to be connected to a family of faith. Offering a festive mix of Gospel music, praise and worship, dance and Word, this service is great if you want to experience the uplifting sounds of our phenomenal worship arts teams. You are sure to experience God through sight and sound and spirit as this celebration is sure to energize your soul.